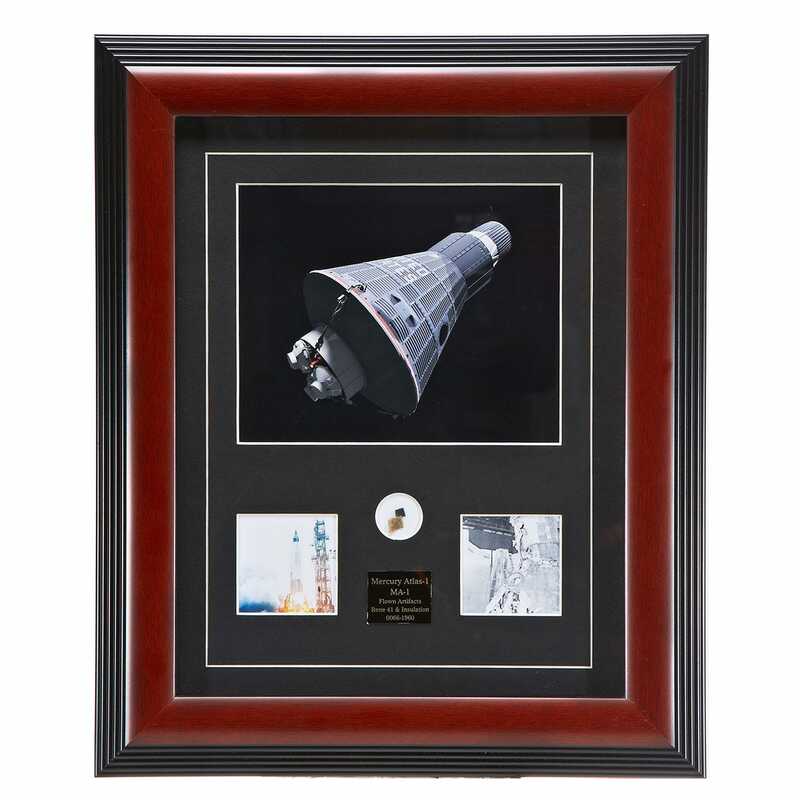 This limited edition framed print features a certified flown spacecraft shingle fragment from NASA’s Mercury Atlas-1. The main image used is a beautifully detailed digital recreation of the Mercury Atlas. The secondary images are period photographs of the actual MA-1. Professionally framed and mounted, this relic of Rene 41 alloy is taken from an actual after-body shingle recovered from the MA-1 spacecraft. Launched from Cape Canaveral in July 1960, the MA-1 was the first launch attempt of a Mercury capsule. This exclusive limited edition frame measures 11”W x 14”H. Includes a Certificate of Authenticity that provides details and specs of this historic unmanned flight. Measures about 17.25” x 14.25”.